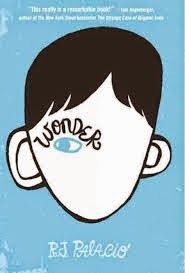 My kids' school is promoting the book Wonder this summer, as a shared reading experience. If you haven't read it, you should. It's the story of a boy with some physical disfigurations, and his experience entering school for the first time. As your kids start school this year, teaching your kids about kindness is something to think about. Kids can encounter a lot of cruelty at school. Other kids are not always the nicest and it's tough to be at school - a new one or one they've been going to for years - when other kids are making it difficult socially. Of course no kid wants to hear lectures on how to be kind. Instead, let them learn through books like Wonder, and through movies. Or with crafts. I really like this craft from KSLCrafts, which combines a "punch box" (where you physically break through covered holes on a box) with random acts of kindness. 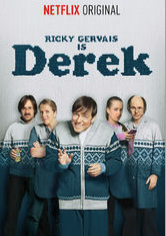 I just put Derek on my list to watch on Netflix, an original series I hadn't heard of until now. As a Ricky Gervais fan, I'm totally interested in watching this - especially since its kid friendly. The show is about a "simple man" - a nursing home worker worker who finds the good in everyone. What books, TV shows and movies do you like your kids to read/watch, that also has the kindness theme? This post is brought to you by Netflix, but all opinions and writing are my own.